Debbie K Being True to my heART: Why did you transition? I came across a picture of me pre transition which captures perfectly the turmoil I was in trying to live my life as a lie. 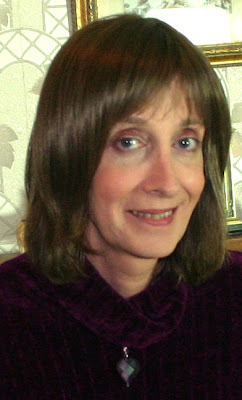 The picture on the left was taken Christmas time 2007 & shows the strain of me having got to the point of realising/accepting I needed to & was finally ready to transition, having become so ill my close friends were afraid I was terminally ill. At this point I had always known how I was born with a body in conflict with my heart & mind but did not know if I could actually live the life full time. 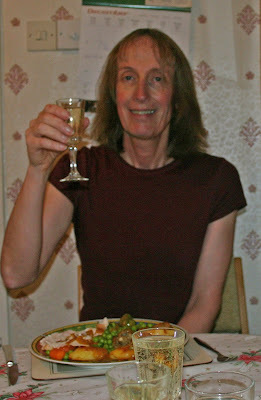 I had decided that for me, to improve my self esteem & to help smooth my transition into my new life I would be having facial feminisation surgery with Dr Dussen a month later in January 2008. I had not realised quite how ill I had looked at this time until I came across this very rare picture of me taken at the time. The picture on the right is me 6months after the facial feminisation surgery. The changes were quite subtle but they were right for me, as was the new life. I had contacted a small number of women who had successfully transitioned trying to find out what made them transition. I had wonder how some one so lacking in confidence & self esteem could possibly transition. No one can answer that question but you. I had to find out my own truth when I was ready. January 2008 was that time. I went at a pace that was right for me & my loved ones & was fortunate enough to have the opportunity. We faced our fears together & have gained strength with each challenge we faced. Here I am two days before my GRS totally at peace with the surgery I am about to undertake. No one could prepare you for how you may feel after the surgery but I am so grateful to be at this stage in my life. You look so much happier now and there is an inner peace glowing from the second picture. I'm pleased and happy for you that this week has finally arrived. Debbie, wish you the best of luck and a quick recovery to get on with the life you should have had.